Val Blaha is a singer/songwriter and multi-instrumentalist. Her heart lies with melody-driven Americana and folk music. Influenced by musicians including Woody Guthrie, Bob Dylan, the Indigo Girls, Emmylou Harris, and Nanci Griffith, Val loves telling stories. Her vocal style is a unique blend of sweetness, sass, and a touch of blues. 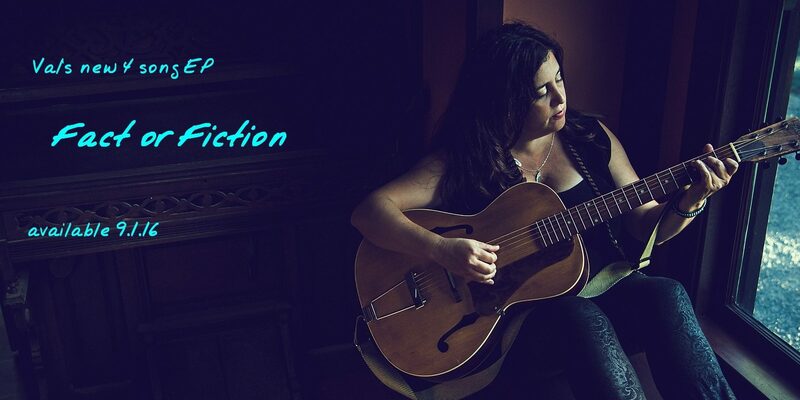 Her new EP Fact or Fiction was released on 9/1/16.